The route between Orlando, FL and Jacksonville, FL is one of great adventure – thrills, history, beaches, spectacular views, wildlife, nature, cuisine, cultures, golf and. Each city has much to offer. Here are all the ways to travel to Jacksonville from Orlando, including by plane, train, bus, car and by bike. What is the distance between Orlando and Jacksonville? Orlando is about 140 miles south of Jacksonville. 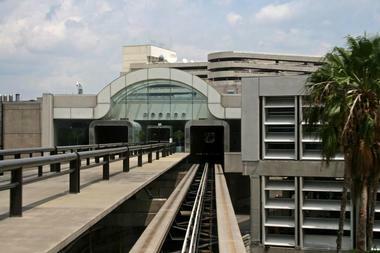 Orlando International Airport (MCO) sees an enormous amount of traffic. Being one of the theme park centers of the world, many families, groups and corporate travelers make their way to Orlando. 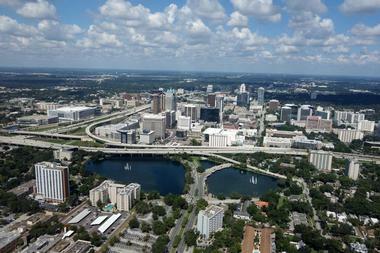 In fact, over 40 million people come to Orlando each year. It is a good thing the airport can handle this amount of traffic. Jet Blue and Silver Airways offer flights to Jacksonville with a stopover in Fort Lauderdale with fares starting at $287. There are no non-stop flights. There is ample parking and a variety of ground transportation options at the Orlando International Airport. The airport also is home to a variety of shops, cafés, restaurants, newsstands and convenience stores. If there is something you need before you board your flight you can most likely find it at the airport. Jacksonville International Airport is a smaller airport, yet still offers all the services of the larger airports with a lot less hassle. For your convenience the terminal is open 24 hours a day. Ground transportation is readily available including shuttles, taxis, and rental cars. Shops, restaurants, and live music complete the airport amenities. How far is Jacksonville from Orlando? Orlando is about 140 miles south of Jacksonville. Amtrak offers daily service via the Silver Meteor and the Silver Star. Both trips take just over 3 hours. Both trains feature reserved coach seats (starting at $33), Superliner Roomette (starting at $140) and Superliner Bedroom (starting at $219). The roomette accommodates 2 adults with seats that convert to a bed and a pull down top bunk. The bedroom compartment also accommodates two, and features an en suite bath room and shower. With the sleeper compartments, meals are included on the Silver Meteor and not included on the Silver Star. Other amenities include free Wi-Fi, checked baggage, able to check bicycles, and a café car serving up light meals. The Silver Meteor also has a dining car which is a full-service restaurant. Seating is available in both the dining car and the café car. Amtrak also offers travel packages that include hotels and activities. There are several bus options from which to choose. Greyhound offers a number of daily routes; each route is approximately 2½ hours to 3 hours in length. The earliest bus leaves at 5:15 a.m. and the latest bus leaves at 10:15 p.m. There are several routes in between. Prices start as low as $17 one way. For business travelers, you could catch the early bus and be to Jacksonville in time to conduct business and then catch the evening bus back to Orlando. Private shuttle service is offered by Florida Red Line. Service from Orlando to Jacksonville begins at $250 for up to four people. Convenience comes at a price, but depending on your time and situation, a private service may fit your requirements quite nicely. 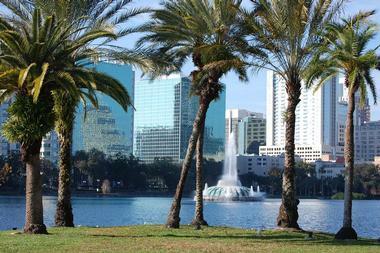 Orlando is about 140 miles south of Jacksonville. 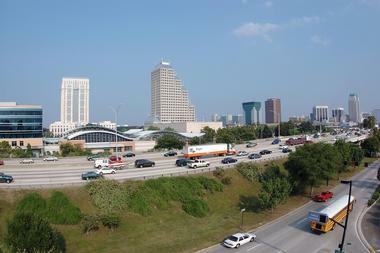 The fastest route by car is to take I-4 out of Orlando and exit on to I-95 which will take you north to Jacksonville. This drive should take a little over 2 hours. An optional and more scenic route would be to take Hwy. A1A, Florida's Scenic & Historic Coastal Byway, out of Daytona Beach, which follows along the coast through all the beach communities en route. This may not be the best route for the business traveler, but the vacationer would enjoy the spectacular beaches and the ocean views. Before leaving Orlando visit some of the amazing attractions. Orlando is the theme park destination of Florida and possibly the world. Big names include Disney World; SeaWorld Orlando; and Universal Orlando. For a day trip from Orlando it would be thrilling to visit the Kennedy Space Center. Take Hwy. 528 straight east out of Orlando to the coast. Hwy. 528 will connect with Hwy. A1A; follow the signs to Kennedy Space Center. Activities at the Center include visiting all the exhibits from Apollo to Space Shuttle; meeting up with an actual astronaut; and experience a Space Shuttle launch. To get to Jacksonville from this little side trip either take Hwy. A1A up the coast to Jacksonville or go back to I-95 for a more express route. If you took the coastal route the next stop should be the Ponce de Leon Inlet Lighthouse between Port Orange and New Smyrna Beach. Take a guided tour of this historic lighthouse. Experience the dazzling views from the top of the lighthouse after climbing the 203 steps required to get there. Imagine a tall ship of days gone by sailing toward the shore. Learn about the lenses and the history of this fabulous lighthouse. Now traveling north on the Scenic & Historic Coastal Byway (Hwy. A1A) you will find a variety of place to stop; something to see almost every mile. From monuments to museums; state parks to beaches, and even the infamous Fountain of Youth; this trip will make memories to last a lifetime. For a chance to encounter dolphins up close and personal visit the Marineland Dolphin Adventure. Located just north of Palm Coast and adjacent to Matanzas State Park, this adventure will delight kids of every age. They offer a variety of dolphin experiences that start at feeding and petting to actually getting in the water and playing with the dolphins. Experience the thrill first hand. For a real adventure in history you must visit Castillo de San Marcos; a 340-year old fort at the mouth of the Matanzas River in St. Augustine. Discover the architecture, cultures, armaments and battles. The park offers a Junior Ranger Program for kids ages 6-12 to participate in a hands-on exploration of the fort. Another must see in St. Augustine is the famed Fountain of Youth discovered by explorer Ponce de Leon. The park has an active archaeological dig site and has unearthed numerous artifacts dating back to the 1500s. There is also a planetarium where demonstrations of ancient navigational tools are held. Other features include a blacksmith exhibit, a lookout tower and a café and gift shop. The park is open daily from 9 a.m. to 6 p.m. Ticket prices are $15/adult and $12/child (children 5 and under are free). 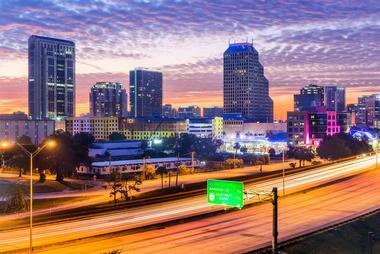 Jacksonville is a beautiful city situated on the St. John’s River. 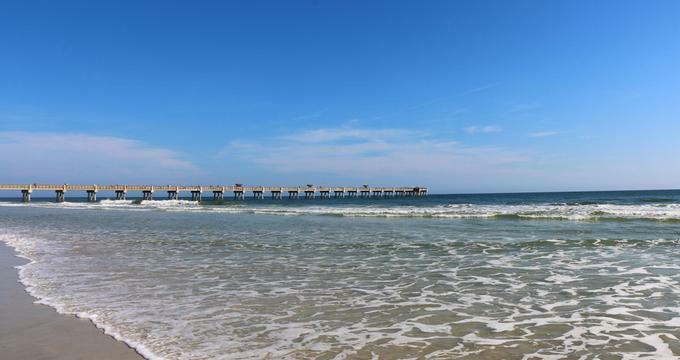 Jacksonville is only 16 miles from the coast and the coast offers 22 miles of white sand beaches. The city’s website details everything wonderful about the city: places to stay; cuisine to try; adventures to take; explorations to make and beaches to enjoy. Google Maps highlights three different bike routes between Orlando and Jacksonville. One route of course follows the coast. The other two routes are inland. Google does a very nice job of providing turn by turn directions. Jacksonville has so much to offer in one concentrated corner of the world. Learn about some of the earliest historical facts of America. Participate in a number of outdoor sports – swimming, kayaking, hiking, biking and camping. Taste some of the best food and wine there is to have. Enjoy a variety of cultural influences. Or, just relax at the beach and soak up the sun. There is so much in store when you visit Jacksonville.